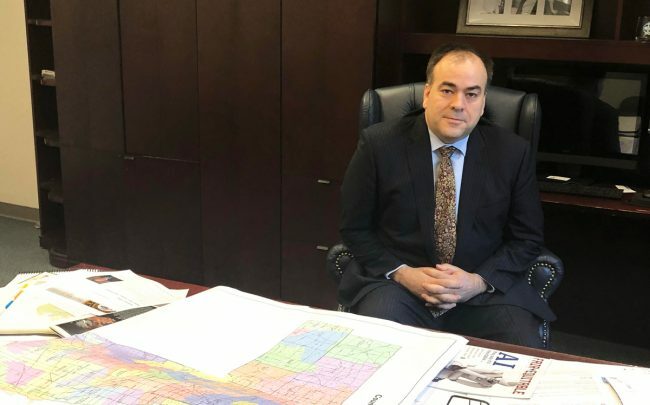 Four months after Fritz Kaegi swooped into the office of Cook County Assessor promising bottom-up reform, the owners of properties across the county are waiting to see how his new arithmetic will weigh on their property tax bill. They’ll get the full answer Tuesday, when his office publishes all the base code underlying the new assessment model replacing one used by former Assessor Joe Berrios. Berrios’ model came under criticism after a year-long investigation by the Chicago Tribune and ProPublica Illinois found it was offering tax breaks to high-value properties while raising assessments on poorer homeowners. In an interview with The Real Deal, Kaegi gave a peek into the methodology behind his new assessment model, which draws heavily from data compiled by firms like CBRE and CoStar. He also shared reactions from his “listening tour” with property owners in the city’s northern suburbs, some of whom have already received their first assessments of his tenure. Kaegi’s office will reassess properties in the south suburbs next year, and city properties in 2021. Has there been a common theme in the questions that audiences on your listening tour have brought up? For those that have already gotten their assessments, did they share reactions? First of all, people really appreciate that we’re going above and beyond in a way that the office has never done before. We’ve never bothered to explain how we’re coming up with our policies, so people appreciate that. We’ve never shown people what our assumptions were when we did commercial assessments. We’ve never shown people the residential model before. A lot of people need education — and this is our fault — in government in general. People don’t understand how our assessment system works. A lot of people think we have a millage system. A millage system occurs in many states, where you have an assessment and then there’s a local tax rate passed by local government bodies, and you multiply that millage rate by your assessment, and that’s what your property tax is. But in Illinois, we back in to rates. Your taxing bodies — the schools, localities, the county itself, all the way down to mosquito abatement districts — they come up with levies, which are lump sums that have to be raised in a community, and then that’s where the assessment process comes in. So in Illinois, your assessment is only meaningful in the context of what everyone else’s assessment is. Is that why your office is taking a township-level approach to setting these assessments? Townships are a convenient level of analysis, but actually our analysis goes to the neighborhood level. On the commercial side, it’s more township-level in terms of rents and cap rates. But even then, as our valuation work unfolds the rest of this year, there are going to be situations where people are going to be in the same township but the valuation conditions for the same kinds of property are very different from town to town. Different based on size, type of property? Desirability, location, all sorts of things. But it’s very important for us to educate people that a change in your assessment does not necessarily imply a change in your property taxes. Have you encountered people who voted for you because they thought they were being over-assessed, and it turns out they were actually being under-assessed? So you’re saying they were voting in service of a higher kind of justice, not out of self-interest. I think they want the system to be fair, they don’t like the idea that certain people are getting advantages. And they don’t like that they have to appeal all the time and get drawn into that system. And look at the mayoral election. We saw that people want reform. But I would add that when we’re doing our work, there’s no preconceived outcome in mind. We’re following the data. And it can actually be kind of counterintuitive what we’re finding. In some cases, retail has been overassessed. For industrial (properties), the cap rates they were using before were in some cases lower than what we’re using now. So there’s no universal insight about who is going to be paying more or less. And also again, these are assessments. When your assessment goes up, it doesn’t necessarily mean your taxes go up. Actually, for a lot of people, their assessment went up and they’ll pay less. You’ve brought up cap rates a lot here. How heavily does that particular metric factor into the new assessment model? It sounds like a pretty central focus. That’s because the market cares. Commercial real estate is priced in terms of cap rates. Do you know how the Berrios administration arrived at its cap rates? We don’t. They did not document that. And this is another reason why we have been so painstaking in showing which numbers we use, so we can show all the assumptions we’ve made for different classes of commercial real estate, and how we arrived at them. We’re using CBRE, Cushman & Wakefield, CoStar and Trepp, which is probably the most important data tool we have. Berrios was criticized for being slow to implement a new assessment model developed in 2010 that was supposedly more accurate than the method the office had been using. Are you putting that aside completely, or are there any elements you’re trying to preserve? We want to build on the insights of that model and other models. So when we came into office we created a Chief Data Officer position, his name is Rob Ross, and he drove a lot of research down at the University of Chicago Harris School on the inadequacies of the assessment system here in Cook County. And we iterate through many different variables of models that we’ve built on the insights of (the 2010) model with computational power that’s advanced a lot since 2010. So we built our own model, and we will be releasing it at Chi Hack Night, where people will be able to kick it around. We’re not aware of any other assessor’s office that’s gone into that level of transparency, and we’ll own up to areas where it’s still not doing what it should do, which is largely a data problem. So where do things stand in the legislative process around this bill in Springfield that would require some property owners to report their income? We’ve had hearings both in the House and Senate Revenue Committees. We have met with the Speaker and his staff multiple times now. It’s been extremely constructive. We have members of House leadership as top sponsors on the bill. We have more than 20 co-sponsors in the House, and it’s growing every day. The test will be whether we get votes. When will that test occur? When the House comes back from break (on April 30), that’s when the Revenue Committee will be considering our bill for a vote. What have been the foremost concerns raised by private owners and the business community about this bill, and how has the bill evolved to address them? The business community really embraces transparency. They embrace that as a value and they embrace accuracy. We estimate rents, costs and incomes, but we don’t have actual data on it, and that creates an incredible amount of uncertainty, which destroys value. So that’s why folks in the business community see the benefits of what we have here. BMO Harris, who supports our bill, exemplifies how value has been destroyed by our old fuzzy system of not having good data. They have to compensate for that when they lend by increasing escrow because they don’t know where your assessment is going to go under the old existing framework. What we’re doing now, leaving aside what’s going on with the bill, is that we can put out all of our assumptions and formulas to create better transparency. But what it doesn’t give yet is predictability, because you need to know which data will go into those models. And the bill will provide the data that provides that predictability. We’ve spoken to some property owners and people who represent them who are not wild about the idea of turning over their income data. Have there been changes made to win them over? We’ve increased privacy protections. First of all, any data that is submitted into the framework is exempt from (Freedom of Information Act requests). The data that we’re seeking is data they already submit if they appeal to the Board of Review, and it is subject to FOIA there. So we’ve adopted a standard of privacy that is above and beyond the level at which people were subject at the Board of Review. Second, we adopted the privacy protection framework that the Illinois Department of Revenue has for income taxes, so that there are criminal penalties and fines that would apply to any of our employees if they disclose income tax information. Third, the framework that’s always been in place, but where have added additional language to comfort people, is that data may only be published on an anonymized and bulk basis. Why does the bill set an exemption on the reporting requirement for commercial buildings valued at less than $400,000, or apartment buildings with six units or fewer? How can you prevent it from giving property owners an incentive to stay below that minimum threshold so they can opt out of reporting? First of all, it may not be beneficial to [opt out]. Because if you’re a 7- to 12-unit building, your cost per unit may be higher than it is for the bigger units. So if you have a smaller building, you probably have higher collection costs and higher vacancy. So you should want us to know that, so you can be fairly assessed and you’re not being mixed in with higher-value operations.